Does Google recommend working with companies that offer to make my site Google-friendly? SEO is an abbreviation for “search engine optimizer.” Many SEOs provide useful services for website owners, from writing copy to giving advice on site architecture and helping to find relevant directories to which a site can be submitted. However, a few unethical SEOs have given the industry a black eye through their overly aggressive marketing efforts and their attempts to unfairly manipulate search engine results. While Google doesn’t have relationships with any SEOs and doesn’t offer recommendations, we do have a few tips that may help you distinguish between an SEO that will improve your site and one that will only improve your chances of being dropped from search engine results altogether. Beware of SEOs that claim to guarantee rankings, allege a “special relationship” with Google, or advertise a “priority submit” to Google. There is no priority submit for Google. In fact, the only way to submit a site to Google directly is through the Add URL page or through the Google Sitemaps (Beta) program, and you can do this yourself at no cost whatsoever. Ask for explanations if something is unclear. If an SEO creates deceptive or misleading content on your behalf, such as doorway pages or “throwaway” domains, your site could be removed entirely from Google’s index. Ultimately, you are responsible for the actions of any companies you hire, so it’s best to be sure you know exactly how they intend to “help” you. While you consider whether to go with an SEO, you may want to do some research on the industry. Google is one way to do that of course. You might also seek out a few of the cautionary tales that have appeared in the press, including this article on one particularly aggressive SEO: http://seattletimes.nwsource.com/html/businesstechnology/2002002970_nwbizbriefs12.html. While Google doesn’t comment on specific companies, we’ve encountered firms calling themselves SEOs who follow practices that are clearly beyond the pale of accepted business behavior. Be careful. Talk to many SEOs, and ask other SEOs if they’d recommend the firm you’re considering. References are a good start, but they don’t tell the whole story. You should ask how long a company has been in business and how many full time individuals it employs. If you feel pressured or uneasy, go with your gut feeling and play it safe: hold off until you find a firm that you can trust. Ask your SEO firm if it reports every spam abuse that it finds to Google using our spam complaint form at http://www.google.com/contact/spamreport.html. Ethical SEO firms report deceptive sites that violate Google’s spam guidelines. Make sure you’re protected legally. 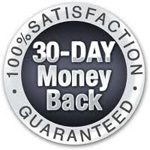 For your own safety, you should insist on a full and unconditional money-back guarantee. Don’t be afraid to request a refund if you’re unsatisfied for any reason, or if your SEO’s actions cause your domain to be removed from a search engine’s index. Make sure you have a contract in writing that includes pricing. The contract should also require the SEO to stay within the guidelines recommended by each search engine for site inclusion.